Osteopathy is a manual therapy that focuses on assisting the body to restore functioning and movement. Our osteopaths do this by using soft tissue massage, stretching, joint mobilisation and manipulation. Osteopaths also use hands on techniques which may influence different systems of the body such as digestion, respiration and the nervous system. Your osteopath will begin your consultation with a thorough discussion about the complaint or problem you are presenting with. They will also ask about your general health and medical history as part of their assessment. An examination is conducted looking at how the affected region is moving, whilst also assessing related areas or structures. Your osteopath will then discuss their diagnosis and treatment plan. This usually includes home exercise, ergonomic or rehabilitation advice. Treatment is then tailored to what we find during examination, and discussing this with the patient. All treatments are individualised, based on your specific needs. During and after treatment your osteopath will offer advice and exercises to enhance your recovery. Our osteopaths can give you guided programs to follow, and monitor your progress to restore your functioning and help you return to your best. We appreciate that pregnancy is a unique and amazing experience. Many changes occur to the body to allow for the baby’s growth, preparing the body for labour and motherhood. For some women this can result in discomfort and limited functioning. change in body weight and balance. HOW CAN PENINSULA OSTEOPATHY HELP? After a thorough patient history and examination, our osteopaths use hands-on treatment to assist your body with changes occurring during your pregnancy. Patients are encouraged to be actively involved in their treatment and they will be able to give feedback at all stages of their care. Exercise classes for pregnancy and motherhood conducted at the clinic. Belinda completed her 5 year osteopathic training at Victoria University before commencing practice in Geelong, then moving on to Brisbane, Perth and Melbourne to experience osteopathy in many different settings. 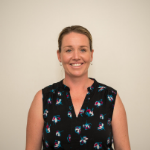 Settling back in Geelong Belinda realised there was a need for osteopathic services on the northern Bellarine, and established her practice within Drysdale Clinic in 2005. Belinda enjoys treating patients with problems related to injuries or conditions, and has a special interest in women’s health, particularly treating women pre and post natal. Belinda has a keen interest in most sports, which was reflected in her masters study on injuries in elite women cricketers. Belinda presented her study at the World Congress of Science and Medicine in Cricket in South Africa in 2003 during the cricket World Cup. Belinda has a young family who all enjoy participation in different sports and activities. 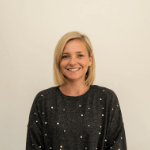 Belinda has a love of swimming, pilates and an addiction to stand up paddle boarding! Belinda enjoys being able educate patients through treatment and lifestyle advice, so they can help themselves to maintain and improve their functioning. Belinda also teaches pilates at the clinic. 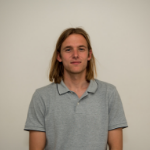 Mitch’s keen interest in the body and how it functions is what drew him to osteopathy. He enjoys working with you to find the cause of your pain. Mitch uses a wide variety of hands-on techniques as well as dry needling, in conjunction with exercise rehabilitative advice to get you feeling and moving better. He enjoys helping people of all ages, with all types of injuries and conditions, however his experience in sporting environments is an advantage in the treatment and management of sporting injuries. Whilst at university, Mitch’s research into workplace-related injuries also gives him an understanding of what is required to overcome these. Growing up on the Surfcoast has fuelled Mitch’s passion for the outdoors. In his spare time, Mitch is a keen surfer and avid camper and can often be found exploring and enjoying our local beaches and waves. 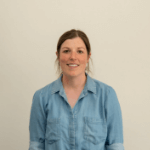 Prior to studying osteopathy, Meaghan worked as a myotherapist and also studied a double degree in Human Movement and Exercise Science/ Psychology. Meaghan has worked with AFL teams, international track cyclists and water polo teams. She also works at the Western Bulldogs Football Club with the AFL, VFL and AFLW squads. Meaghan enjoys treating athletes of all ages and abilities and helping people manage chronic injuries and conditions. Meaghan has also completed further training in Musculoskeletal Dry Needling to utilise as part of her osteopathic treatment of soft tissue conditions. Teneille completed her osteopathic training at RMIT Melbourne where she commenced work in private practice. Teneille then had a travelling adventure before returning home to settle in Geelong. 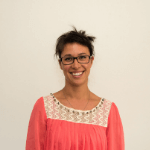 Teneille has returned to work at Peninsula Osteopathy after maternity leave. Teneille has a special interest in women's health and has completed post graduate courses in this area. Teneille also enjoys treating a variety of conditions including neck pain and headaches, low back pain and sports injuries. Teneille is also qualified to utilised Musculoskeletal Dry Needling as part of osteopathic management of soft tissue conditions. Caroline returns to Peninsula Osteopathy + Allied Health after 5 years family leave. Carolines love of the beach and outdoors motivates her to help people in our community keep active and health. 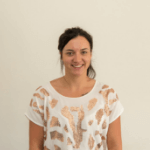 Caroline has experience working in allied health clinic in Sydney and on the Bellarine. Caroline has a clinical interest in treating pregnancy related conditions, and has completed extra training in this area. Caroline uses a variety of techniques when treating, and enjoys providing patient with information and advice for home management of their conditions. When not working Caroline loves to go surfing, do yoga and enjoy time with family and friends. Demi completed her training at RMIT University and has moved to enjoy the coastal lifestyle. Demi enjoys treating a variety of conditions from sporting injuries, postural issues, neck and back pain to pregnancy related issues. Demi's caring personality is evident in her approach to osteopathy. She is passionate about promoting overall wellbeing and is committed to helping her patients achieve their personal goals and maintain health and fitness. Demi has also completed her Clinical Pilates training and is looking forward to running some classes to help her clients that one step further. Demi loves being outdoors and keeping active as well as relaxing with a good book. She enjoys spending quality time with family and friends and getting to the beach with her dog when she can. Gemma completed her Bachelor of health sciences/Bachelor of Applied Sciences at RMIT University. She was drawn to the course due to her interest in the way the human body functions and her passion for working with others to achieve their short and long term health aspirations. Having participated in numerous sports growing up Gemma has a sound understanding and experience with sports related injuries and management. She enjoys treating patients of all ages with a range of conditions including postural related aches and pains, headaches and sporting injuries. Gemma has been a local to the Bellarine Peninsula all her life and enjoys spending her time doing anything outdoors. Outside of the treatment room Gemma is a keen netballer enjoying both competitive and social netball. Having grown up in Drysdale, Hayden is looking forward to a move back to his hometown after completing five years of study at RMIT University in Melbourne. Having a strong interest in human movement and how the body functions was what lead Hayden to pursue a career in Osteopathy. 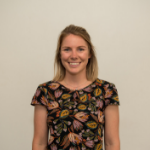 Hayden has a keen interest in injury management and chronic pain management, having spent time working along-side sporting clubs around Melbourne helping in the prevention and rehabilitation of injuries. Hayden participated in the Osteopathic international placement program, where he was based in India treating a variety of patients in a well-renowned hospital in Goa. Hayden enjoys treating patients of all demographics, using a range of different techniques including rehabilitation, dry needling, myofascial cupping and osteopathic techniques. Hayden is focused on tailoring every treatment to each individual’s needs, in order to achieve the best results possible. In his spare time, Hayden enjoys surfing, fishing, camping and spending time with family and friends.